This Screen Monitor is installed at front end of an X-ray Undulator beamline. 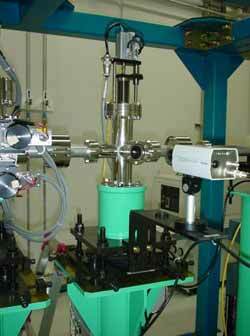 It is used to monitor beam position by irradiation of a fluorescence ceramic plate with synchrotron radiation. It is used at SPring-8 as standard component.